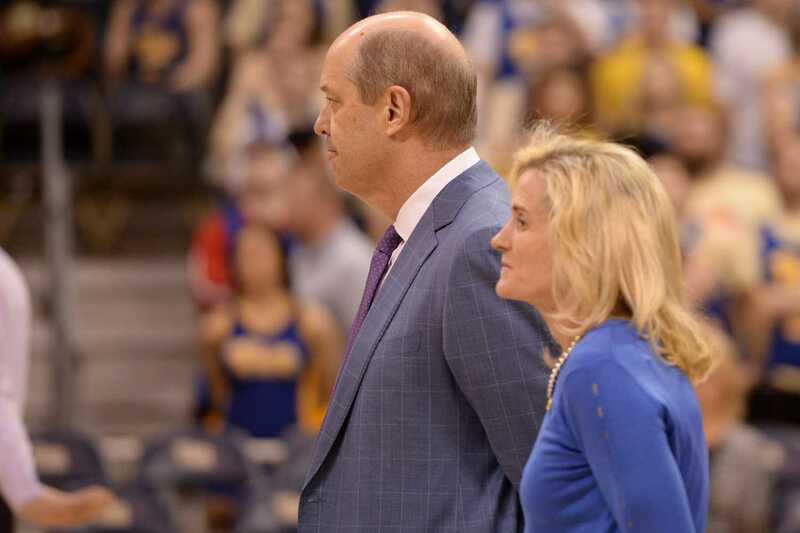 The firing of Pitt men’s basketball head coach Kevin Stallings didn’t come as a surprise to many fans and pundits. After a record-breaking losing season for the Panthers — going 8-25 overall and 0-19 in the ACC — a change of leadership was more than expected. But between reports of contentious contract negotiations and an alleged file of bad behavior that could cause trouble for Stallings, the firing also didn’t come without controversy. And fans and players — past and present alike — haven’t shied away from expressing their opinions on the change of leadership, with mixed reviews. Senior forward Ryan Luther — who was out for most of the season with a foot injury — was the first member of the 2017-18 squad to speak out on the matter, releasing a statement on Twitter expressing his disappointment on Stallings’ firing. He also went on to state the decision came “from people who are not involved with the program daily and influenced by the wrong things.” A report from the Pittsburgh Post-Gazette said that athletics boosters put pressure on Athletic Director Heather Lyke to fire Stallings, which Luther seemed to be referencing. Former forward Sheldon Jeter — who played under Stallings at both Pitt and Vanderbilt — also tweeted on the matter, sharing a photo of him and the former coach with no context. Jeter had a tumultuous history with Stallings after he blocked him from transferring to Pitt in 2013, though Jeter said he respects his former coach. Chris Jones, also a former Pitt forward and assistant coach under Stallings, replied to the tweet. “That’s real brother,” he wrote. And, in reply, Jeter shared his admiration for the coach. “Just showing some love and respect for someone who showed mine,” he tweeted back. Along with Pitt players weighing in on the decision, a prospective player, Danya Kingsby, requested his release from Pitt after committing to the Panthers in November. Pitt fans joined in with sharing their takes, with most fans finding the news welcome, but not surprising. One Pitt alum, Steve Patterson, who graduated in 2006, said that he could tell that the firing was coming long before it did. “Once we knew that there wasn’t really going to be a turn around … his postgame interviews were just kind of like going through the motions, so it wasn’t a big surprise I would say,” Patterson said. Patterson said the Pitt’s next head coach will be vitally important to the future of the program. Fans also took to Twitter to express their opinions on the matter. “God is real,” said @KingZeus. “What a glorious day,” added @stvrz_. A search for a new head coach is effective immediately, according to Pitt Athletics. The community of Pitt fans will be sure to make their opinions heard (or tweeted) again once Stallings’ replacement is named.